The Emerald Isle. A country with more verdant shades than the eye can distinguish. It just stands to reason that the national color of Ireland is green. How many shades of green can you see? 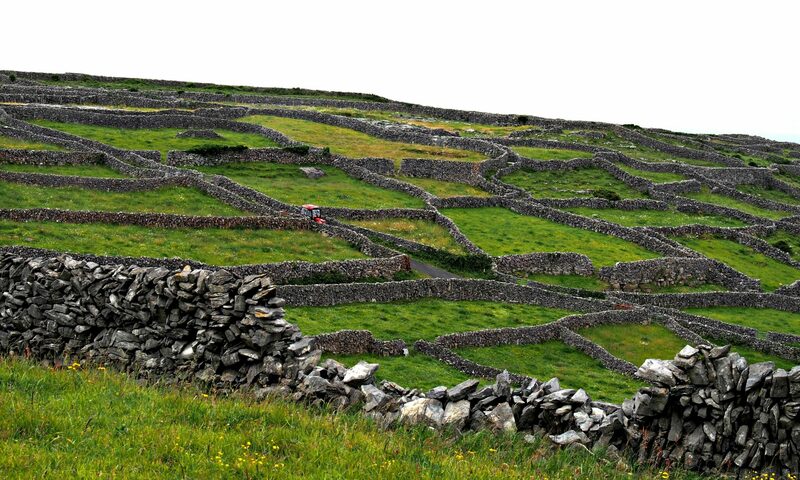 Does Ireland Really Have 40 Shades of Green? During a visit to Ireland in 1959 country singer Johnny Cash wrote a song titled ‘Forty Shades of Green’. But are there truly 40 shades? It would seem a good guess, though no one has ever recorded all 40 distinct shades if the green in Ireland. But if you count everything from the yellow-green of new spring grass to the deep blue-green of the ocean, I bet you could come up with at least 40 different shades. Long before Johnny Cash’s ’40 Shades of Green’, St. Patrick’s Blue was considered the national color of Ireland. A dark, rich hue, St. Patrick’s Blue was adopted by the Anglo-Irish Order of St. Patrick in the 1780s. Today this blue is seen on the Coat of Arms of Ireland and the Standard of the President of Ireland, as well as the racing colors of horses at the Irish National Stud. 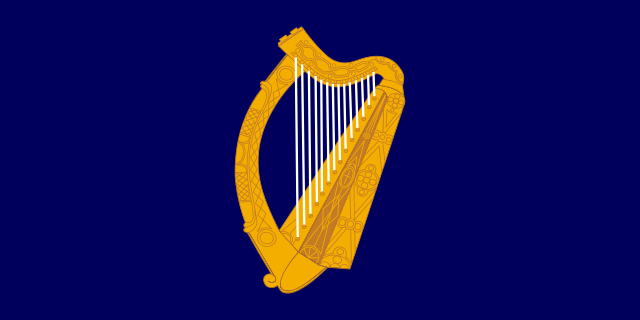 The Irish Harp, the official national emblem of Ireland, is always shown in gold. The national flag of Ireland is three colors: Green, White, and Orange, with the green at the hoist. The first tricolor Irish flag was presented to Thomas Francis Meagher in 1848, a gift from a group of French women sympathetic to the Irish nationalist cause. It was intended to symbolize the inclusion and hoped for peace (white) between the Roman Catholics (green) and the Protestants (orange). The Irish Tricolor has been used as the national flag of Ireland since 1916. What is the Official Color of Ireland? The short answer is that there isn’t one. While the Irish government uses the blue of the Coat of Arms for everything from the President’s standard and the cover of the Irish constitution to the carpets in the Dáil (Parliament) and Seanad (upper house of Parliament), green is recognized the world over as being the color of Ireland. Learn more Irish! 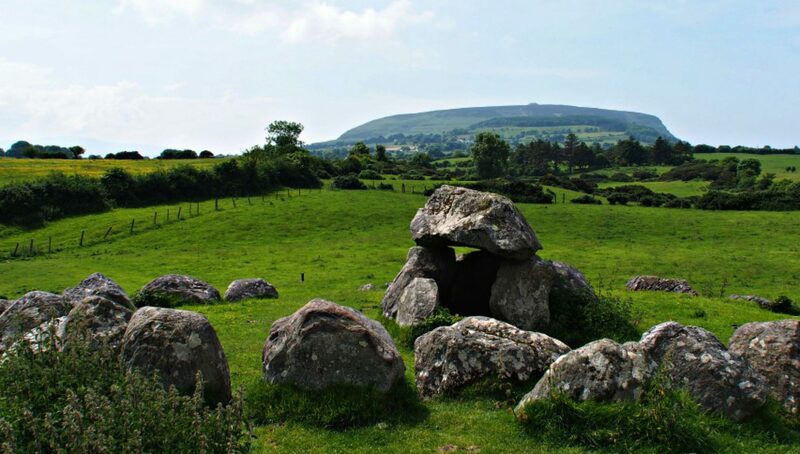 Get a free Irish for Beginners course from Bitesize Irish Gaelic. Collins Very First Irish Words (affiliate link from Amazon) is a great resource for learning the first, simple Irish words. The paperback version should come with a CD to assist with pronunciation. Previous PostPrevious What Do the Celtic Knots on Irish Dance Dresses Mean?